With 2016 reaching its final months, there’s little to look forward to this year. The only flagship devices that we’re expecting are the iPhone 7 and Nexus lineups. Out of these, the latter should come with an impressive hardware upgrade in the form of the Snapdragon 821. After all, even as Qualcomm managed to reverse its overheating fortunes with the Snapdragon 820, the processor still doesn’t perform as well as we’d expect it to. If you’re a believer in benchmark scores, we’ve got a lot of them for you today. The Snapdragon 820 and the Exynos 8890 have been tested on the Galaxy Note 7, so read more below to find out more. The Snapdragon 820 Vs The Exynos 8890; Which Processor Is The Right One For The Note 7? When we talk about a gadget’s performance, there are a lot of aspects which come under consideration. From computing performance, to multimedia and design, any smartphone or phablet is nothing more then an efficient combination of various aspects. To that end, benchmarks end up evaluating only one of these i.e. the computing and graphics performance of a device. For the Glaxy Note 7, it looks like Samsung’s once again managed to outdo itself with the Exynos 8890. Before we get in scores, let’s first take a look at what both the processors are made of. 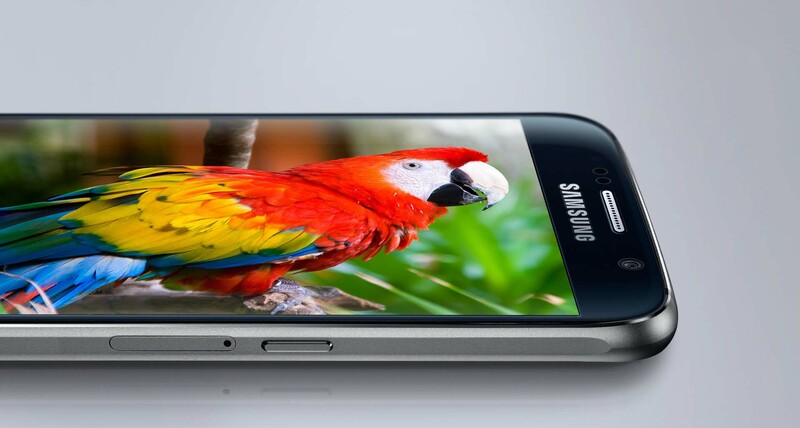 Both the processors are manufactured on Samsung’s 14nm FinFET. They also come featuring ARM’s v8 instruction set which marks the end of their similarities. The Exyos 8890 comes with two sets of four cores, in a simple implementation of big.LITTLE. Four of these are ARM’s Cortex A53 cores and the other four are the first generation of Samsung’s Mongoose M1 cores. The Snapdragon 820 also comes with custom cores on board. These are two sets of two Kryo cores, clocked at 1.6 and 2.1Ghz for these tests. 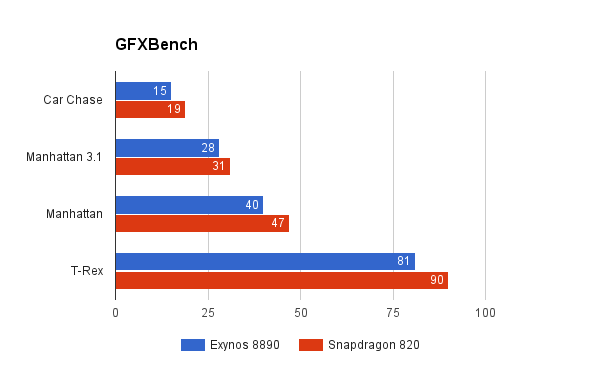 GPUs for the Snapdragon 820 and Exynos 8890 are the Adreno 530 and the Mali T880, clocked at 624 and 650Mhz respectively. Starting from the popular graphics benchmark application GFXBench, we see that Qualcomm once again dominates in the graphics sphere. Even as the US manufacturer continues to cede space to Samsung in flagship Android processors, graphics seem to be one area where things aren’t looking to change anytime soon. Samsung’s consistent reliance on ARM’s Mali GPUs doesn’t end up doing the Korean tech giant any favors when it comes in the graphics department. Qualcomm on the other hand continues to enjoy near seamless integration of its Adreno GPU lineup with the Snapdragon processors. The Snapdragon 820 and the Adreno 530 manage to consistently lead cross all four platforms, from T-Rex to Car Chase. The above scores represent average fps values for the processors and their GPUs. 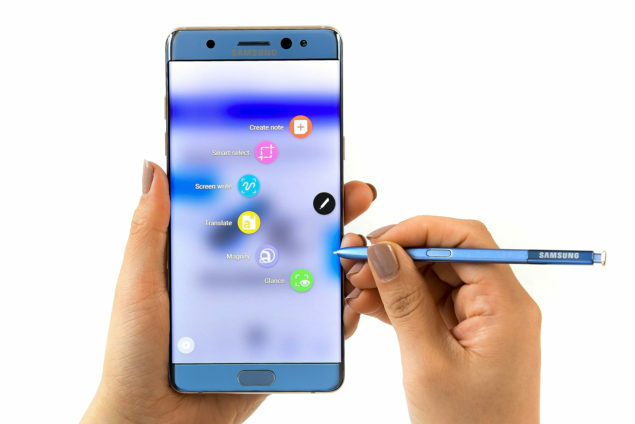 They’re offscreen versions as well, so at the moment, we’ve got no solid idea of rendering capabilities of the pair on the Samsung Galaxy Note 7. Moving towards core performance measures, Samsung’s Exynos 8890 clearly dominates the Snapdragon 820. Featuring two pairs of four Cortex A53 and Mongoose M1 cores, the Exynos appears to be the dominating processor when it comes to key compute scores. The difference becomes even more stark in multi-core results, where the Exynos has the clear advantage over the Snapdragon. As mentioned earlier, the Snapdragon 820 comes with two sets of dual, custom Kryo cores, which clearly translates in benchmark scores. 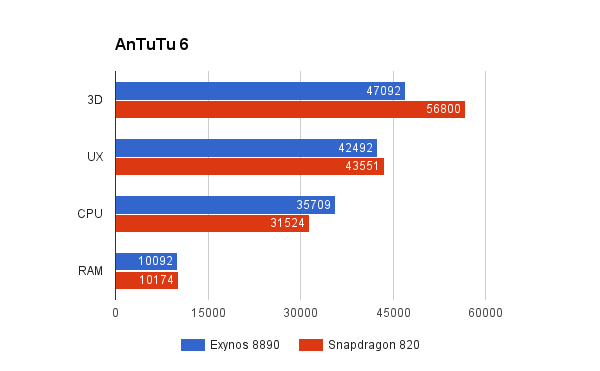 In single-core results, the Snapdragon still tails behind the Exynos, though by a much smaller margin. Qualcomm definitely seems to have its work cut out with Kryo. Keep in mind that the Galaxy Note 7 on which these tests were conducted was still running background apps and processes, so these scores don’t represent a clear cut picture. Nevertheless, the fact that Qualcomm launched the Snapdragon 821 earlier this month shows that the US chipmaker has understood its weaknesses on the Snapdragon 820 and Kryo. After performance and graphics, let’s now take a look at read/write scores of Samsung’s Galaxy Note 7. Qualcomm definitely seems to have the edge here, even as the manufacturer performs disappointingly in compute scores. Before we get in the details of the results above, it’ll be relevant to differentiate between internal and external scores. External storage tests represent the device’s internal memory/SD card storage where apps and other multimedia is stored. Internal tests on the other hand represent application/private data storage for the device. In all four segments, it’s the Snapdragon 820 which has the lead over the Exynos. The difference isn’t stark enough to draw any concrete conclusions. The end results should depend on personal preference. The age old and widely popular benchmark Antutu neatly sums up the differences between the Exynos and Snapdragon variants of the Samsung Galaxy Note 7. Starting from 3D or graphics scores, the Adreno 530 simply dominates the Mali-T880. This is a direct result of several reasons. 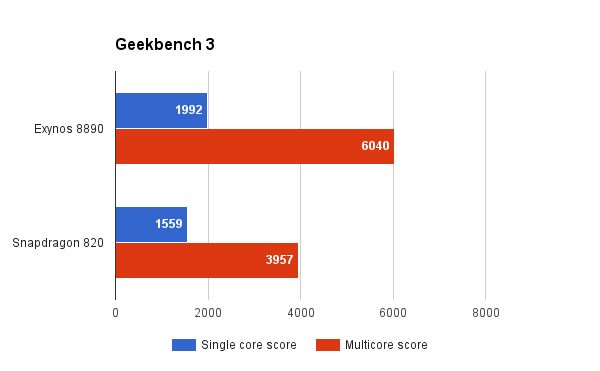 Firstly, the Adreno 530 is simply the better GPU out of the two. Secondly, Qualcomm’s efficient integration of the GPU, CPU and DSP on the Snapdragon 820 manages to play its part clearly in these scores. In CPU performance, it’s the Exynos 8890 which comes out on top. Like mentioned above, Antutu clearly sums up the differences between the two processors and devices. At this point, we’d conclude that today’s scores provide as efficient a comparison between the two devices as possible. 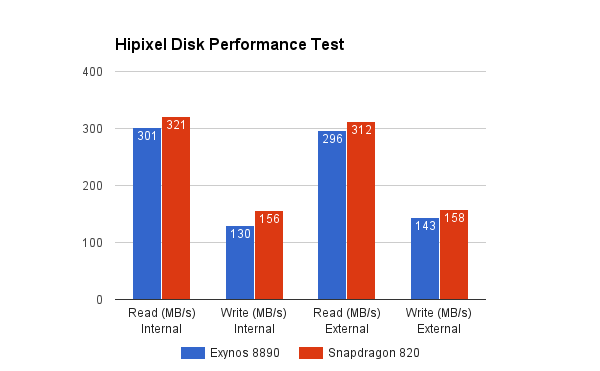 There isn’t much difference in RAM or User Interface scores for the Exynos 8890 and the Snapdragon 820. Critical differences seem to lie only in between performance and graphics. As is the case with any benchmark comparison, the final result depends on user preference and availability. Furthermore, performance and graphics scores aren’t the only indicators of a device’s performance. We’re unsure of what differences in battery life are present on the Snapdragon and Exynos Galaxy Note 7. The Galaxy S7 and S7 Edge exhibited stark differences, and it isn’t clear whether the pattern persists on the Galaxy Note 7. To conclude, if you’re looking for strong processor performance and want to run heavy duty applications, today’s results point you towards the Exynos 8890 on the Galaxy Note 7. If you’re more of a gamer and multimedia lover, then the one with the Snapdragon 820 is the device for you. Additionally, if you haven’t booked the device yet and are thinking about doing so, we’d advise you to wait. Battery life is a very important factor when gauging a device’s performance and more data will become available for the Note 7 in this matter. Thoughts? Let us know what you think in the comments section below and stay tuned for the latest.